It’s very quiet here this week. With summer camp over the rooms are strangely silent. I took a moment to enjoy these while missing your kids – I hope you enjoyed them as well. 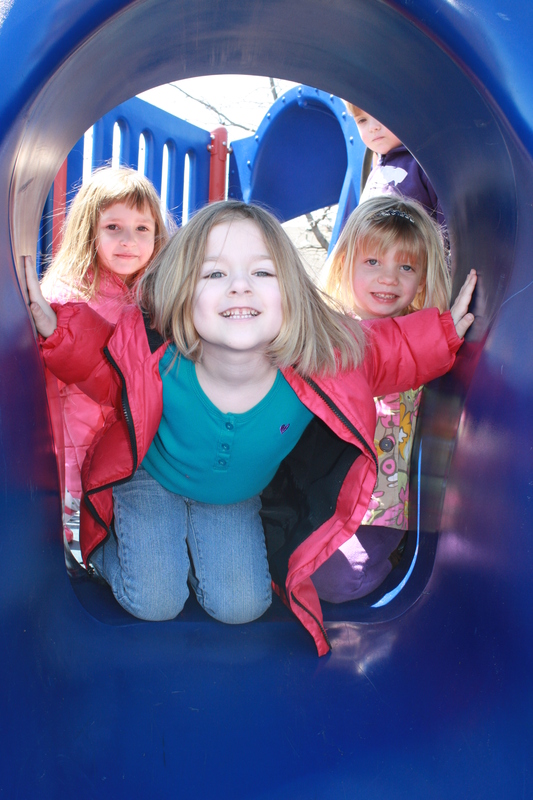 I have a friend who, several years ago, began a weekly park play date over the summer. Parks… all over the Johnson County area, once a week, with friends (aka: moms who know how long summer can become with the kids home from school). I know what you’re wondering and the answer is, “yes,” my friend is sort of a genius. Find out her park schedule here SUMMER PARK ADVENTURES for some ideas of some fun places to visit… or plan to join them! Her children are a bit older now but she’d love to have you. Tell her “Shelly” sent you! *exercise is good for the soul and the body. Children who play outside are happier and healthier. *playing hard= better behaved kids later on. Kids need to do “heavy work,” work their muscles, test themselves and once again, research tells us that afterwards, they are better able to focus, listen, and sit still. *playing is how children learn. When a child brings you a “nature” collection, they are learning about the world around them, discovering same/different, comparing items… all great math, science, and literacy skills. 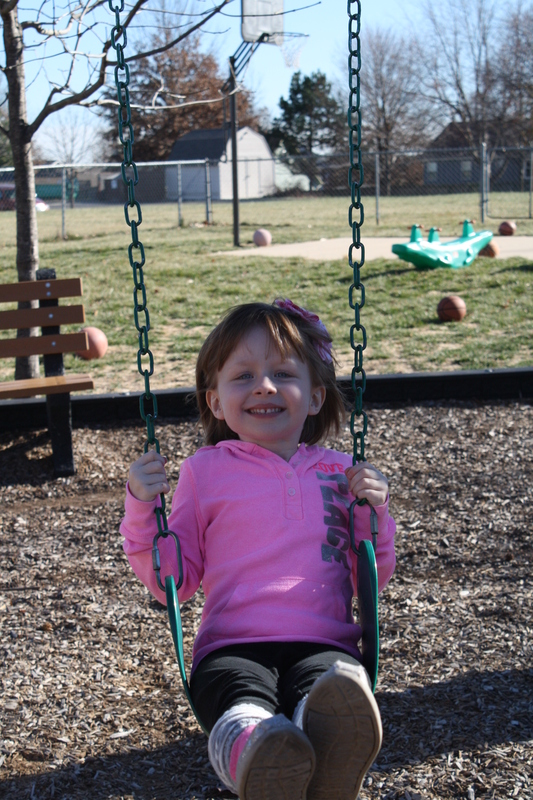 *playing at parks usually involves other children. Children need to learn about how to get along with others, how to advocate for themselves, taking turns, etc. I could probably name several more but you get the idea, right? I’d love to hear about your favorite parks! Where are they? Is summer getting long? Does the heat outside cause grouchiness? How about trying some magic inside? Earlier this year, I conducted a really cool science experiment with our Blue class. It’s super easy and super cool which are two really important factors in how I choose activities with my kids. Pour some milk into the bottom of plate until you have a nice, shallow puddle. 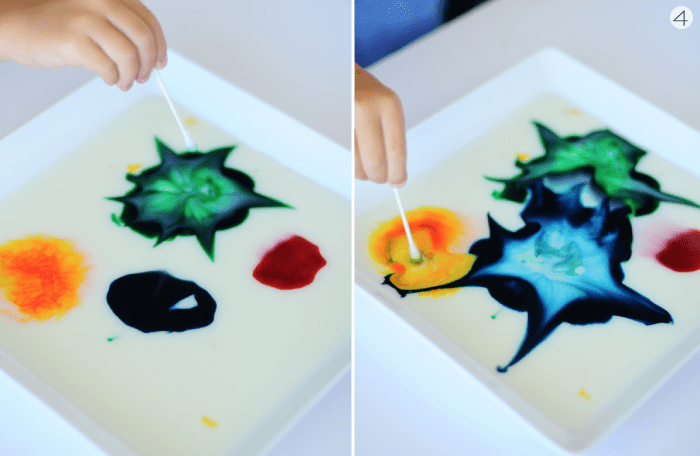 Put a drop of each color of food coloring onto the milk. Then, place your Q-Tip into the dish soap and touch it into the milk. Sit back and watch the magic happen! You can experiment with where you put the color drops: in the middle together or spread out in different corners. See how it affects the color. Give your child toothpicks and let them experiment with the food color before you add the dish soap. Another activity that I did with my children every summer was crayon rocks. This is another super easy and super fun (notice a trend here?) activity. Gather your rocks onto a foil lined cookie sheet and heat in the oven until they are nice and warm. Pull your rocks out and, using your crayons, begin coloring. (The only hazard involved here is making sure that your child does not touch the hot rock and honestly, my children never did.) The crayons will melt as the children color and it’s a pretty cool thing to experiment with. Click on the picture above for more pictures and instructions. Hope this helps you survive the soaring hot temps outside! Categories: Play, science | Permalink.